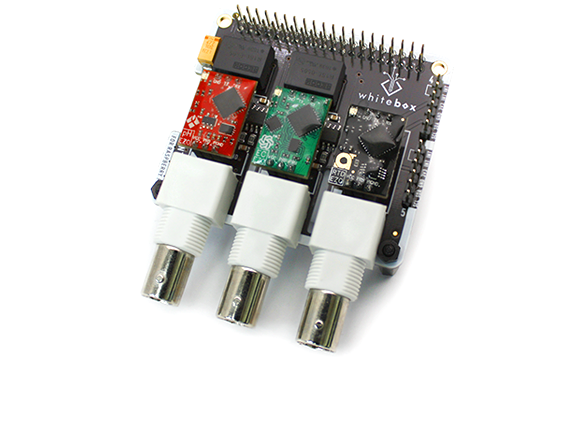 A fast and easy way to read multiple sensors from a Raspberry Pi. The Tentacle T3 eliminates the need for wiring, multiplexing and electrical isolation. 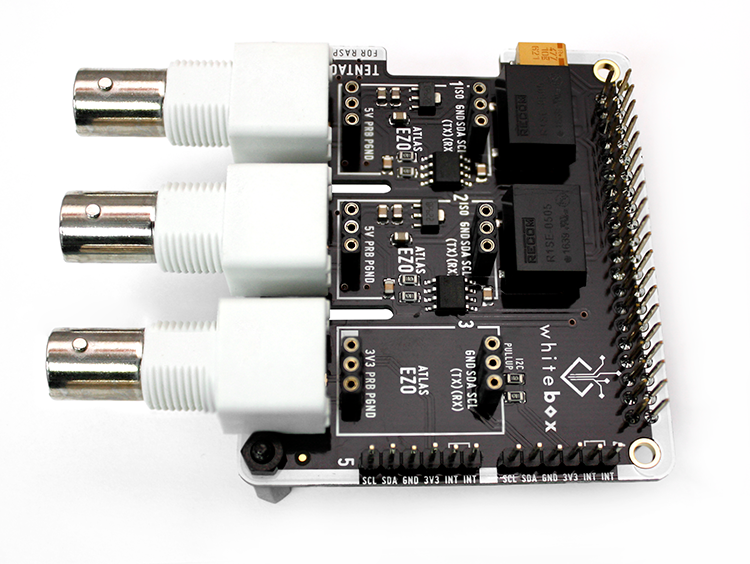 Because it comes in a Raspberry Pi HAT form factor, it simply plugs into your Raspi. No wiring, no bread boards. It’s stackable and hosts up to 5 EZO devices from Atlas Scientific to measure PH, Dissolved Oxygen, Electric Conductivity (E.C. ), Oxidation-Reduction Potential (ORP) temperature (RTD), peristaltic pump (EZO-PMP). 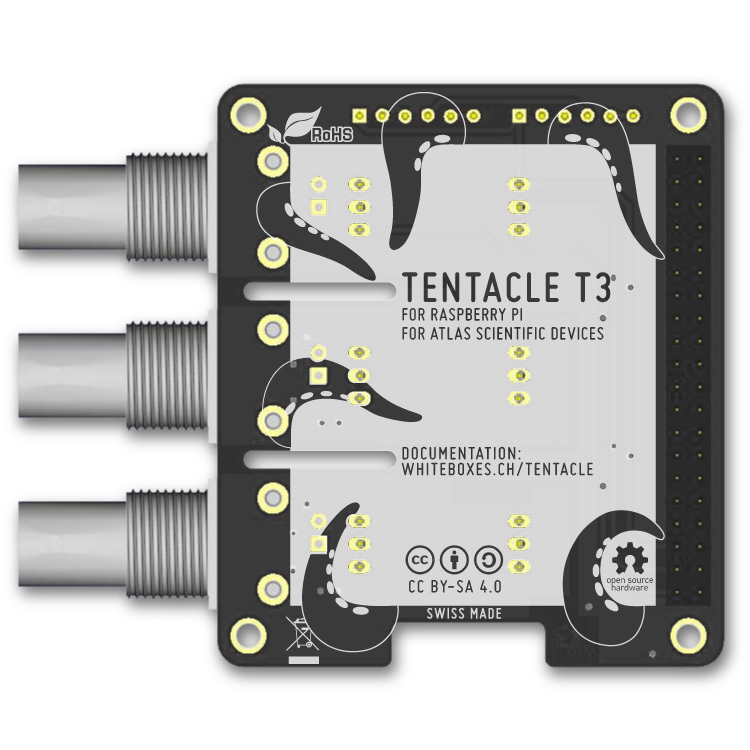 The Tentacle T3 gives you 2 fully isolated channels for EZO circuits made by Atlas Scientific. Channel 3 is also in the EZO form factor and is perfect to add RTD Temperature compensation to your isolated channels. 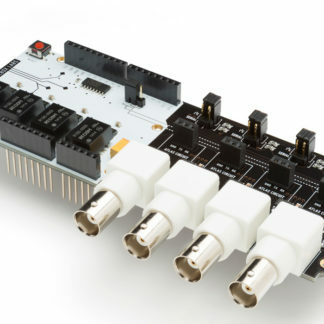 An additional 2 channels allow you to connect 5-pin devices by Atlas Scientific that come with a Molex connector. 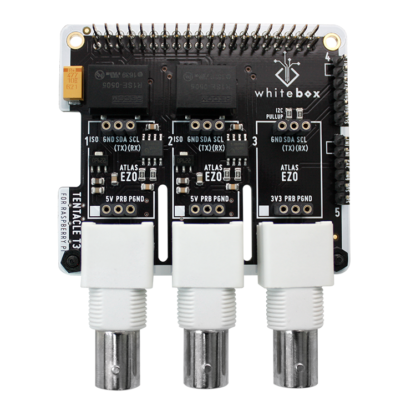 These channels can also be used as generic additional I2C connectors. Channel 1 and 2 are fully isolated. Built in electrical isolation means that sensors won’t interfere with each other and most outside electrical noise that can interfere with readings is reduced. By specification, Raspberry HATs are not stackable. That’s why we don’t call the Tentacle a HAT. That’s cool, it lets you can stack multiple Tentacle T3 boards to your Pi. Or stack another, normally not stackable HAT on top of the Tentacle. You can easily stack 2 to get 4 isolated channels and 10 channels in total! If you have a beefy power supply and feel like messing with the pullup resistors on board, you can stack even more. The Tentacle comes with an M2.5 standoff mounting kit. You can also easily stack other HATs that are not stackable by design. For them, the Tentacle is mostly transparent. By default the Tentacle doesn’t “occupy” any pins of the Raspberry. It’s connected to 5V, 3.3V, GND, SCL, SDA. 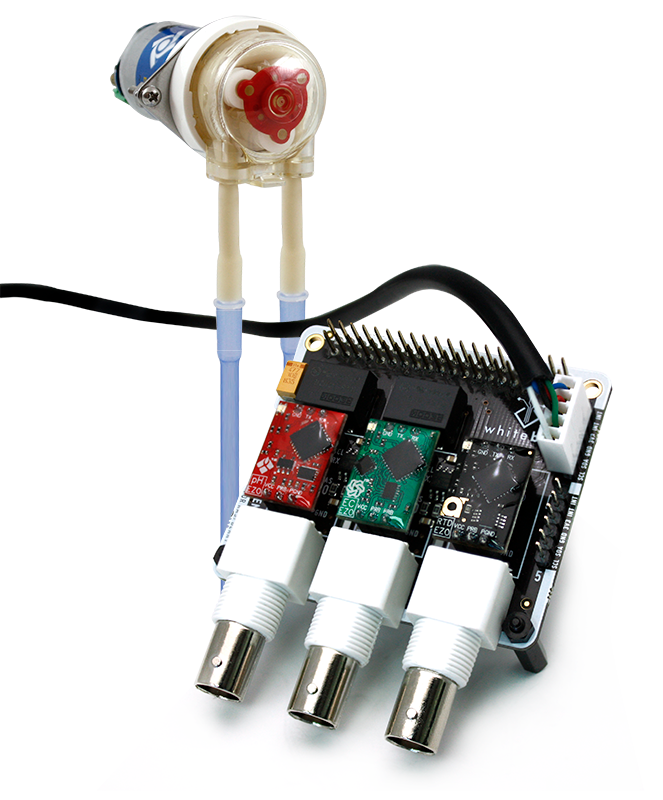 The Tentacle adds pullup resistors to the I2C line so you don’t have to care about them. If you handle I2C pullup somewhere else in your system, you can desolder these resistors from the Tentacle. The Tentacle T3 for Raspberry Pi is Open Source Hardware (OSHW). Its schematic and pcb layout are licensed under Creative Commons Attribution-ShareAlike 4.0 International. The CAD sources will be available on GitHub once we ship.